Travel plans of hundreds of passengers have gone haywire due to last minute cancellations by Jet Airways. The airline has grounded over half its 119 aircraft fleet and cut down its flights to West Asia and domestic routes as lessors grounded four more planes on Monday. Passengers queued outside the airline's ticket counter at the Mumbai airport vented their ire on long wait time at the call centre and were seeking rerouting, refunds or alternate flights. While the airline is accommodating passengers on available flights, this is resulting in extending travel time and detour for customers. A group of passengers traveling to Zagreb in Croatia through Dubai were offered flight via Amsterdam as the Mumbai-Dubai flight on Tuesday morning was cancelled. "I spent my entire afternoon to seek alternate flight as my Chennai flight for Friday has been canceled. It is not a happy situation. Frankly, it is distressing and the civil aviation ministry should do something about it," said Tarun Kishore, country marketing manager, Clearscore Technology Services. Kishore got rebooked on an alternate flight but remains worried whether the airline will keep up its schedule. " There is no guarantee," he said. Krisha Rathore, a city resident, too queued up at the call centre as her flight to Kochi was cancelled twice. The airline offered an alternate flight and that too has been cancelled. "Now we have been given a ticket for Mumbai to Kochi via Delhi for March 23. It is a two-hour flight and is going to take us more than eight hours. Luckily we have not booked any hotels," she said. On Sunday evening, Jet Airways announced the suspension of service to Abu Dhabi and is also curtailing services to Dubai and other destinations. Etihad is planning a fourth frequency between Abu Dhabi-Mumbai for a few days to cater to the load caused due to Jet cancellations. The Abu Dhabi airline is said to be awaiting approvals for the same. 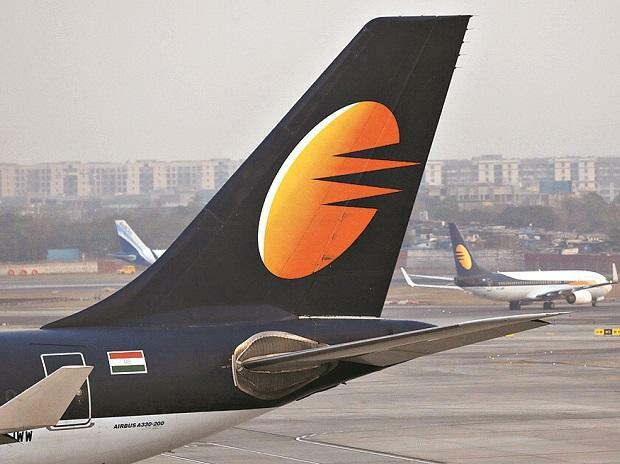 "Jet Airways is currently operating a curtailed schedule having made certain proactive adjustments bearing in mind the likely yet interim non-availability of some aircraft in its fleet in the near future. As a priority the airline has been focusing to minimise guest inconvenience by ensuring that guests, as well as the regulator, are informed of these interim changes well in advance given the temporary yet network-wide impact of these changes," the airline said. It added that the 24x7 contact centre, guest relations and social media response times have been extremely proactive and responsive in handling the schedule adjustments addressing guest concerns on priority and in line with defined regulatory guidelines offering re-accommodation, choices or extending applicable refunds according to the situation.